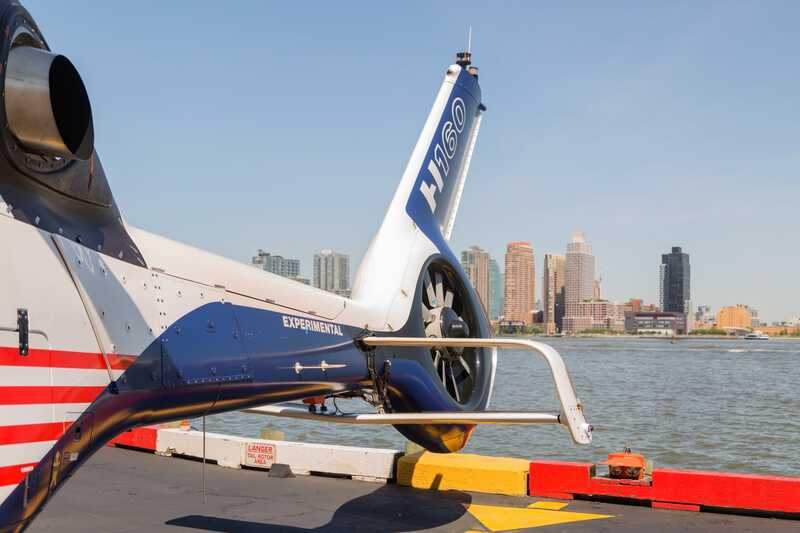 Hollis Johnson/Business InsiderThis is one of three Airbus H160 prototypes in existence. The Airbus H160 is the latest entrant in the ultra-competitive medium-sized, twin-engine helicopter market. The H160 serves as a replacement for the H155, which is a facelifted version of the iconic AS365 Dauphin. 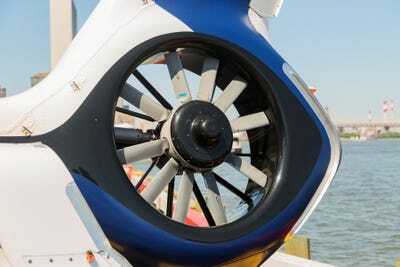 According to Airbus, the H160 features technology that required 68 new patents. 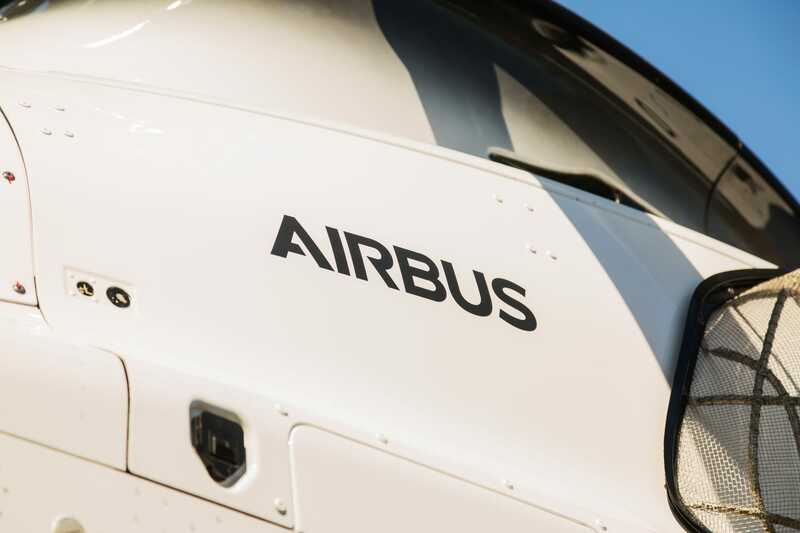 Airbus expects to deliver its first European certified H160 around the end of 2019 with US spec version to arrive six to eight months later. 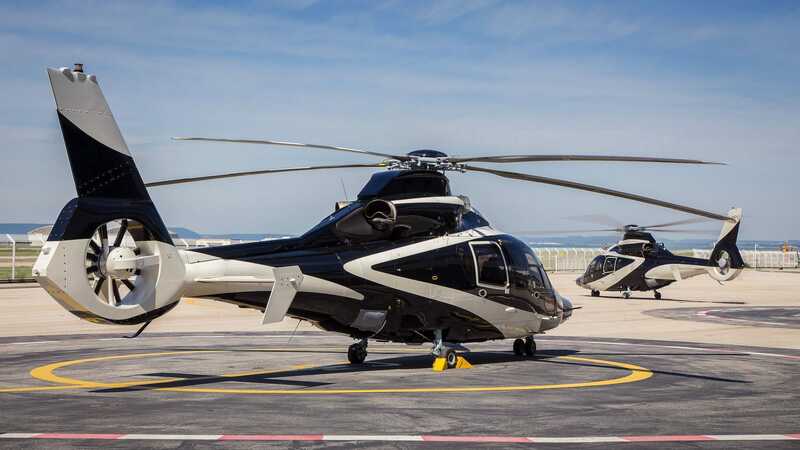 In 2014, Airbus retired its long-running Eurocopter brand and reorganized its vertical take-off and landing division into Airbus Helicopters. And the first “purely Airbus” creation to emerge since the rebranding is the Airbus H160. It’s the company’s newest entrant into the medium-sized twin-engine helicopter market. 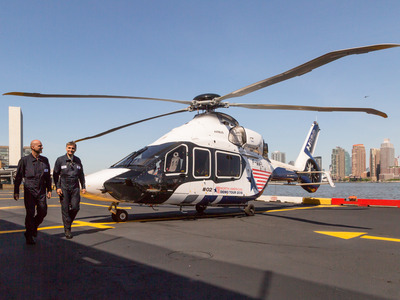 The H160 is able to deliver vastly superior performance to the similarly sized, but older, H155. At the same time, it slots in below the much larger H175 that was designed to deliver speed and capacity for the company’s oil and gas customers, Emerson, who is the head of Airbus Helicopter’s North American business, said. 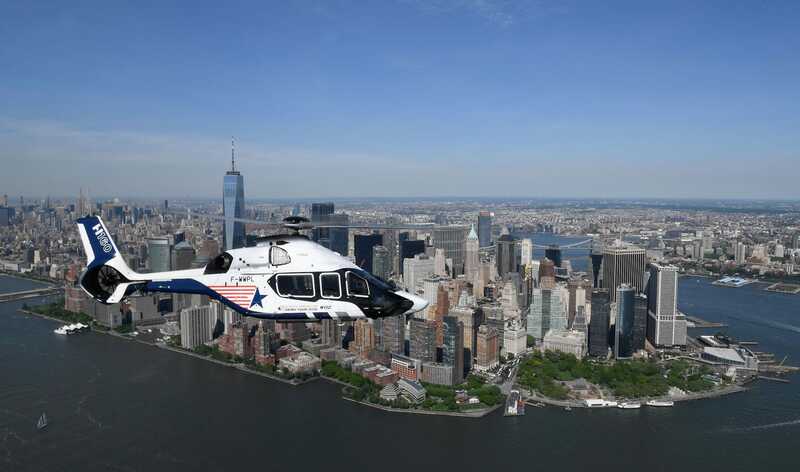 “This medium twin segment is heavily competitive,” Emerson added. 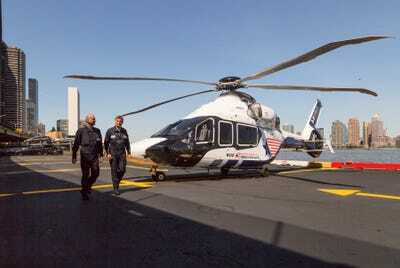 After all, there are legacy aircraft like the AgustaWestland AW139, the Sikorsky S76, and the legendary Bell 412 with which to contend. However, the H160 is expected to be a step above its rivals in the segment. To create the new helicopter, Airbus incorporated technology from 68 new patents while reimagining its production process with input from the automotive industry. 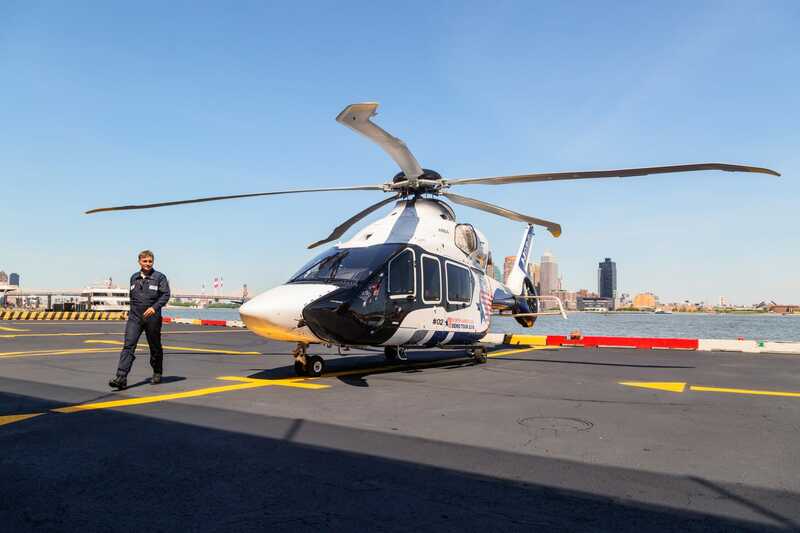 Recently, Business Insider had the opportunity to get check out an H160 prototype in person during a North American customer demo tour Airbus held for the helicopter. Here it is! 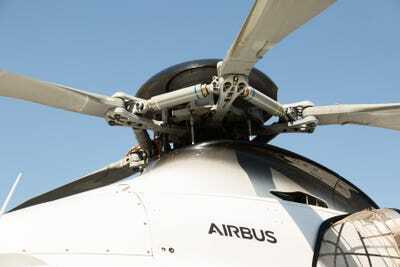 The Airbus H160 prototype. It’s the successor to the current HC155. We were given a tour of the H160 by Airbus experimental test pilot Olivier Gensse. 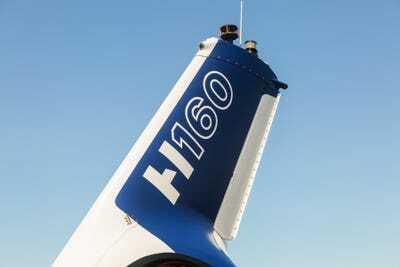 There are only three H160 prototypes in existence. 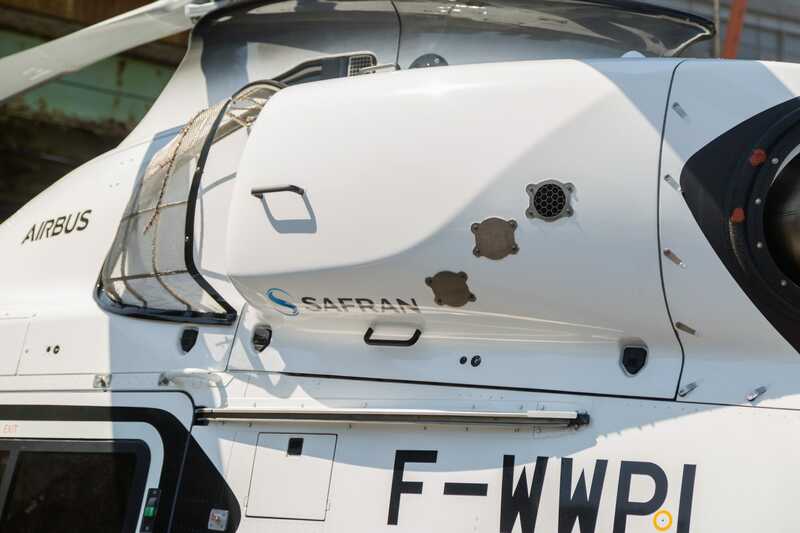 According to Gensse, this is Prototype #2 and it’s set up for hot weather testing. 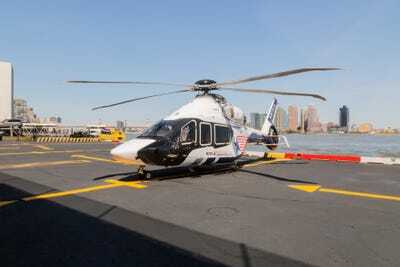 The H160 is the first civilian helicopter to feature a full carbon composite fuselage. It also features a biplane horizontal stabilizer that prevents the nose of the helicopter from pitch downward during level flight. As with every new Airbus helicopter, the H160 is equipped with the company’s signature Fenestron fantail design. There’s also a camera mounted to the top of the tail fin. 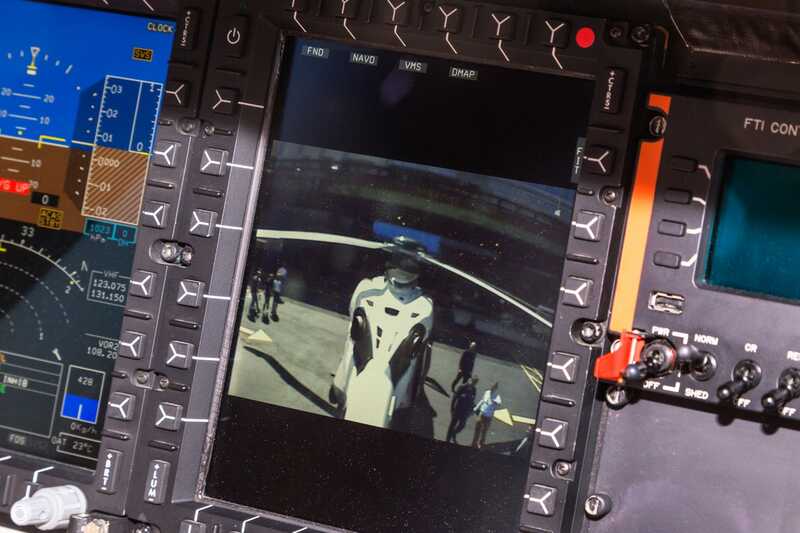 Here’s the pilot’s view of the camera. But the big news is with the fan blades. The H160 is equipped with new double swept Blue Edge composite blades. 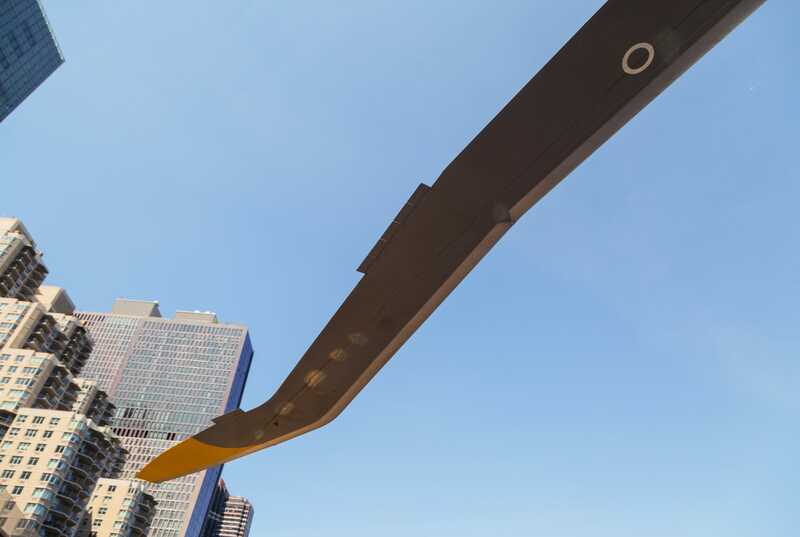 According to Gensse, these blades can reduce noise by 50%. 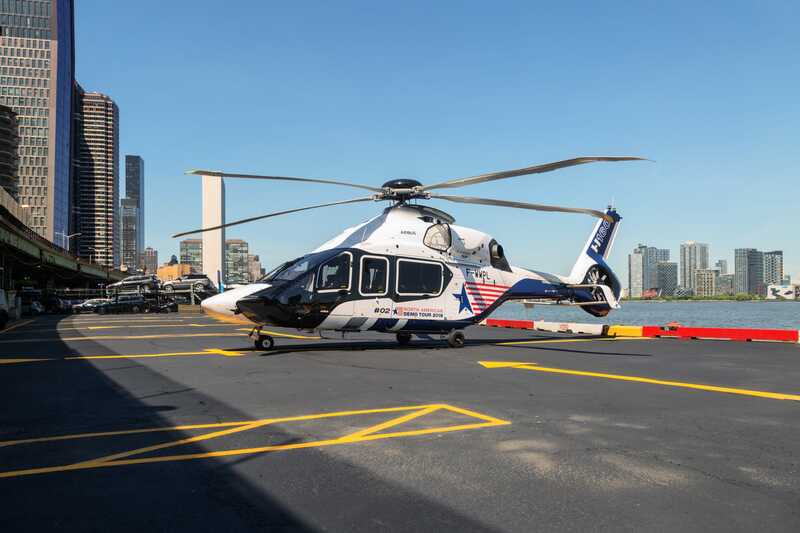 The H160 is powered by a pair of Safran Turbomeca Arrano turboshaft engines that can each produce 1,100 to 1,300 horsepower. 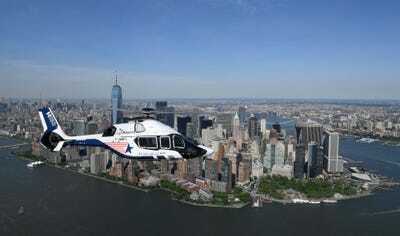 The engines are also expected to deliver 15% better fuel economy. According to Airbus, the H160 can cruise at 178 mph with a range of more than 530 miles. 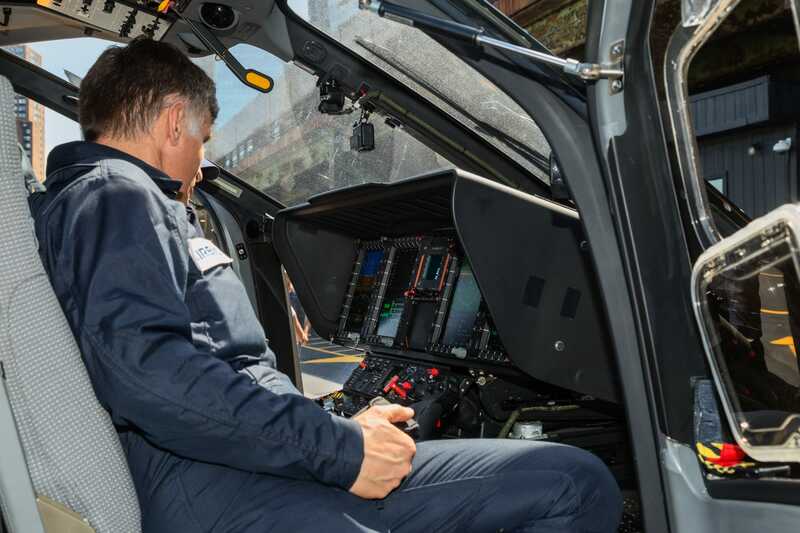 …H160 is equipped with a state-of-the-art glass cockpit. The H160 has room for two pilots and up to 12 passengers. 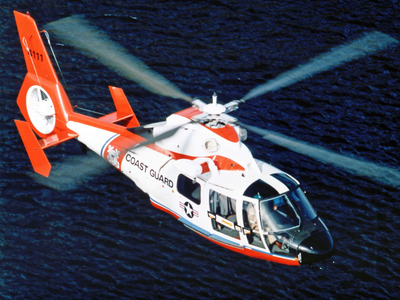 It can also haul more than 2,400 pounds of cargo. 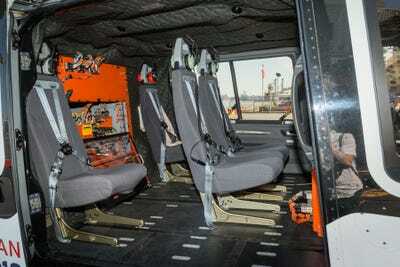 Here, the rear cabin is still configured for flight testing. The production cabin will look different. 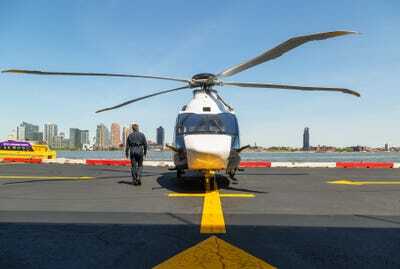 The Airbus is designed to fulfil a variety of duties including search and rescue; emergency services; and as a private or corporate transport. 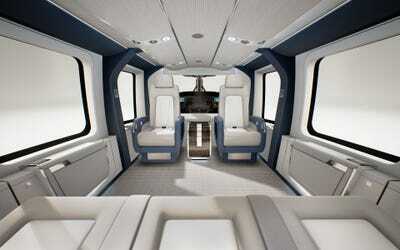 Here’s the interior in luxury transport spec. 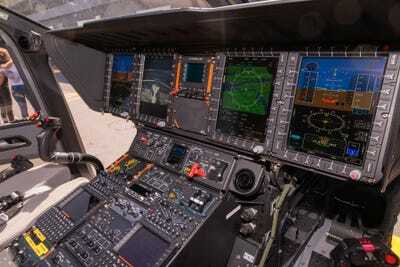 According to Airbus, the first H160s certified by European regulators are expected to be delivered around the end of 2019. H160s that are FAA certified are expected to arrive six to eight months later.